Our on-site full fabrication shop allows us to manage the timeliness, quality and provision of all sheet metal products, allowing Martin & White to meet your custom requirements. Sheet metal enclosures are fabricated by 'cold forming', where the metal is clamped and bent in machines called 'press brakes'. As a result, metal typically cannot be formed into a true 90 degree corner. Instead, the corners are curved. Different degrees of curvature can be achieved, and it is described by a parameter called 'bend radius.' Note that bend radius is specified as the radius of the INSIDE surface of the bend. Spot welding would be used in cases where disassembly is not required. Fully seam welded edges may also be a requirement, especially if the application requires a more tightly sealed enclosure. Martin & White offers both spot-welded and fully seam-welded enclosures. It is Martin & White’s process of pro-actively designing products to optimize all the manufacturing functions: production, assembly, test, services, repair and assure the quality, reliability, safety and regulatory compliance with the best customer service. Modification of existing ductwork to make it more efficient, cost effective for renovations and upgrades. All made to the latest SMACNA standards. Martin & White is your Mechanical Services and Sheet metal experts for all installation procedures. 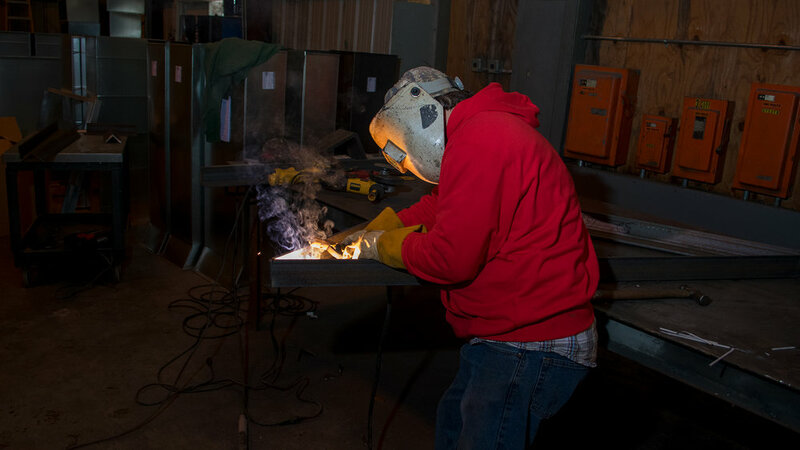 We have been installing HVAC, Mechanical equipment and sheet metal for many years for the Mid-South businesses. Our installation technicians have been trained to install all types of equipment and HVAC systems. 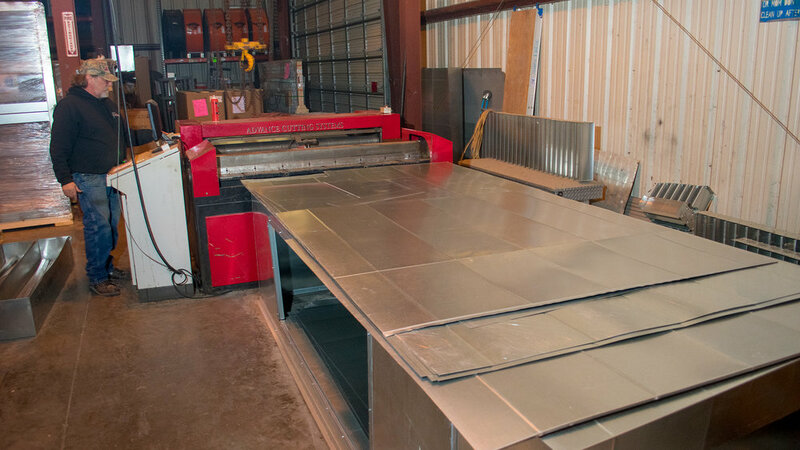 Our sheet metal products are durable, …on demand solutions for your project needs and built to SMACNA standards. Martin & White can repair any HVAC, Mechanical, or sheet metal problem that your business may have. Our commercial technicians have the qualifications and specialize in our field to complete any project to your satisfaction.